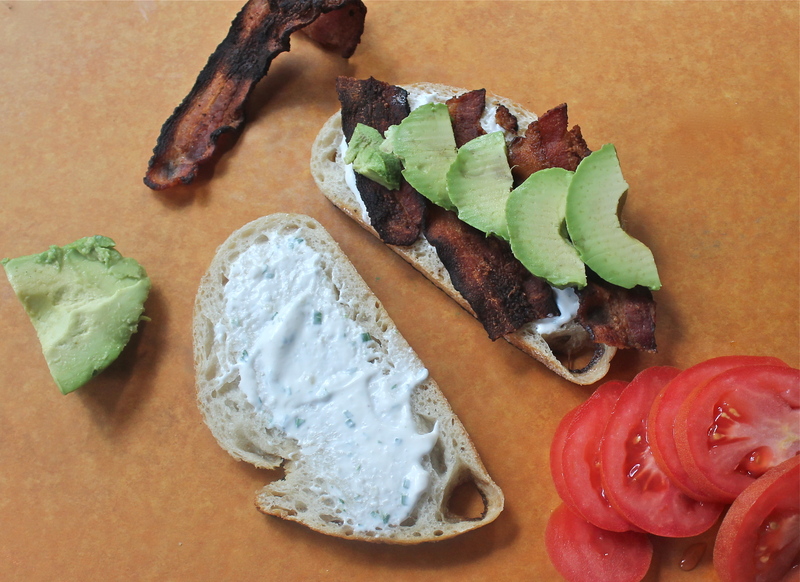 So easy to assemble – bread, GG dressing, bacon, avocado and tomatoes! Grill your french bread slices at same time you grill the bacon, both on same pan. Lay grilled slices on plates; spread 1 Tbl GG dressing on each slice. 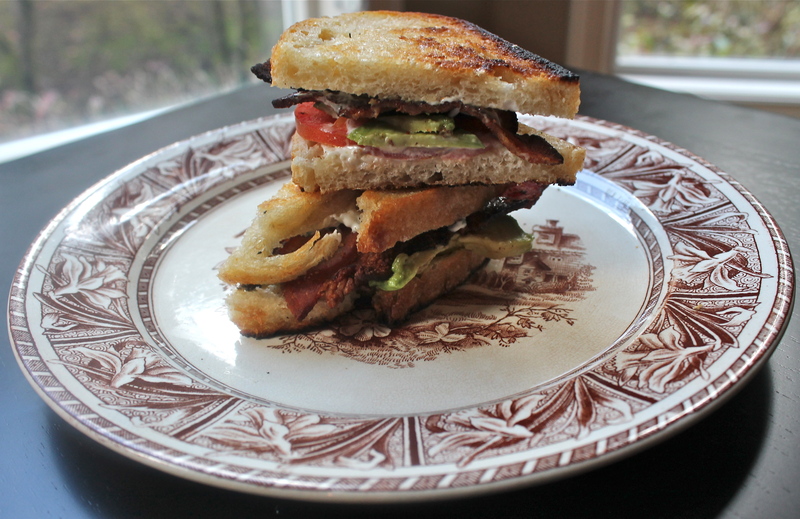 On one slice pile on bacon, and avocado slices – the other has the tomato. You’re done! Eat! Enjoy! 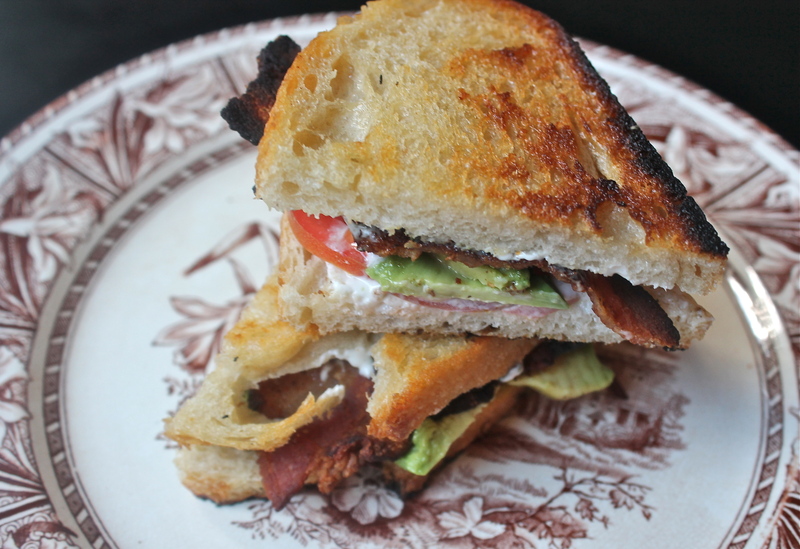 This sandwich is really, really simple, and really, really good! Sounds fantastic, I applaud your willpower, I’ve done low carb diets and they really work, at least for me. I need to do the same. What a fantastic way to say goodbye to bread. Happy Easter. Thanks Suzanne – I’ve done the low carb plan before and was successful, but was a lot younger then so keeping my fingers crossed that I am as successful as before. I have to do the same, fingers crossed for you! I was also younger and hoping for the same results. Thanks Liz. 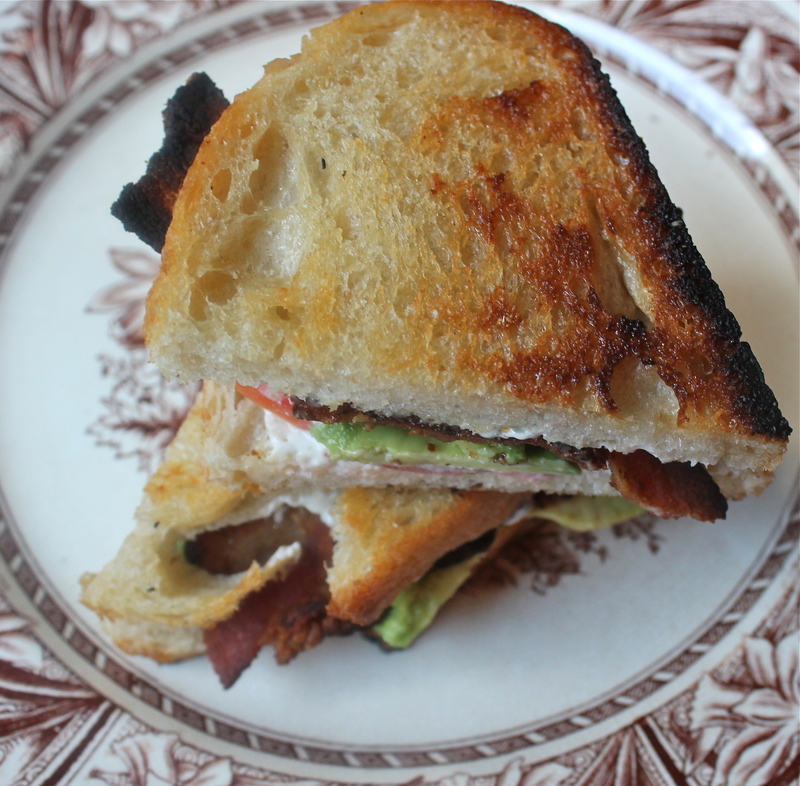 Like your addition of the turkey and blue cheese (one of my favorites to add to sandwiches and burgers). Made spareribs Saturday night and was delightfully surprised that they tasted as good as my regular recipe. Am posting that later today.